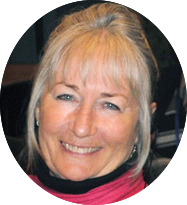 Dr Mariann Lloyd-Smith is a Senior Advisor to both the National Toxics Network (NTN) based in Australia and the Pacific, and to IPEN, an international public interest network representing over 700 organisations in over 100 countries committed to a toxics-free future. Mariann gained her PhD from the Faculty of Law at the University of Technology (UTS), Sydney and has worked in the area of chemicals’ policy and waste management for over two decades. Mariann has published widely on chemical issues and was an author of Australia’s national management plans for hazardous waste. Dr Lloyd-Smith was a member of the UN Expert Group on Climate Change and Chemicals and a coauthor of the report ‘Climate Change and POPs; Predicting the Impact’. 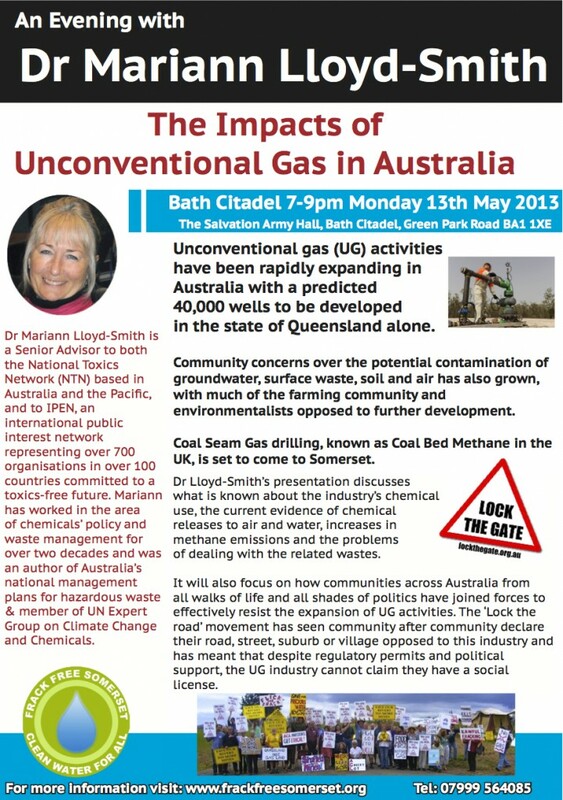 She also coauthored NTN’s report on the chemical impacts of unconventional gas in Australia and has presented the findings to governments and communities across Australia, UK and Europe. Unconventional gas (UG) activities have been rapidly expanding in Australia with a predicted 40,000 wells to be developed in the state of Queensland alone. Community concerns over the potential contamination of groundwater, surface waste, soil and air has also grown, with much of the farming community and environmentalists opposed to further development of UG fields. This presentation discusses what is known about the industry’s chemical use, the current evidence of chemical releases to air and water, increases in methane emissions and the problems of dealing with the related wastes. It will also focus on how communities across Australia from all walks of life and all shades of politics have joined forces to effectively resist the expansion of UG activities. The ‘Lock the road’ movement has seen community after community declare their road, street, suburb or village opposed to this industry and has meant that despite regulatory permits and political support, the UG industry cannot claim they have a social license. Why: These technologies, without effective community action, could be coming to Somerset. Australia is one of the world’s leading examples of both the harm caused by unconventional gas as well as the inspiring community resistance to it.